Even for those times in-between seasons when you are planning a trail running route or a mountain biking tour, you need to know where you can go without getting stuck in the snow. With our three Snow Layers you can do exactly this! Snow Depth, Fresh Snow and Snow Forecast give you all the information you need to not only plan your trip but also be able to make important decisions on equipment and safety. All three Snow Layers are available to FATMAP Explore members on both mobile and web and can be found in the terrain tools panel by tapping the button on the bottom right-hand-side of the screen. We’re very happy to be working with our partners at MySnowMaps to provide real-time snow conditions to help adventurers make better quality planning and navigation decisions every day. The Snow Depth layer is updated every 24 hours and gives you a colour coded overlay going from Trace (very small amounts) up to 250cm+. Knowing exactly how deep the snow is great for planning freeride route and assessing avalanche risk. Snow depth is currently available in the continental US and the Alps, coming soon to other parts of the world. The Fresh Snow layer will give an indication of where the new snow lies, ideal for getting those first tracks! It shows you a colour-coded overlay on the map, going from Trace (very small amounts) up to 250cm+. The Fresh Snow layer is available for the Alps and is coming soon to other parts of the world. It shows data from the previous 72 hours. The Snow Forecast layer shows data for the next 72 hours so you can plan your next trip and head where the snow is falling! The Snow Forecast layer also shows you a colour-coded overlay on the map, going from Trace (very small amounts) up to 250cm+. Currently, the Snow Forecast is available for the Alps and is coming soon to other parts of the world. In the past, maps were static, unchanging. They were a snapshot of a moment in time, made permanent on printed paper or even on a screen. But today, maps aren’t static - they can be a dynamic, real-time representation of not just locations and places, but conditions and context. The Snow Layers show the power of combining real-time conditions with spatial awareness, which allows for a more detailed and accurate understanding of the world around you. This is the power and flexibility of a map that is built from the ground up for outdoor orientation and navigation. We are also working on expanding the amount of conditions data powering the platform, from wind, precipitation and more, to build the world’s most advanced and powerful outdoor adventure platform. 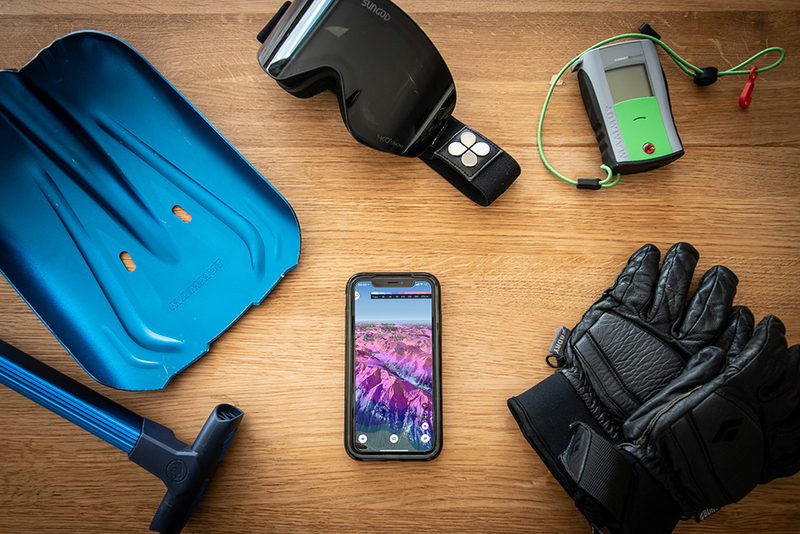 Join FATMAP Explore today to access the Snow Layers, as well as many more digital tools and benefits with some of the world’s leading outdoor brands, events, magazines and adventure companies!